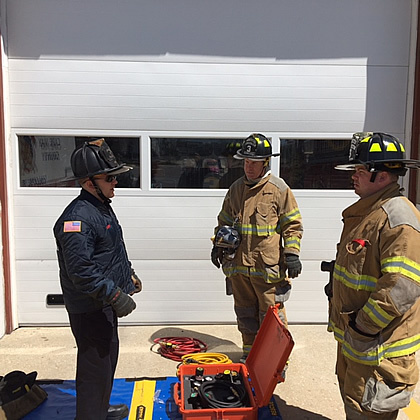 The Wildwood City Fire Department conducted their yearly seasonal employee training and orientation on Saturday April 16th. Firefighters were first briefed on updates in Emergency Medical Protocols by the departments Medical Director, Dr. Kenneth Lavelle. Dr. Lavelle actually began his medical career with the department back in the late 80's. 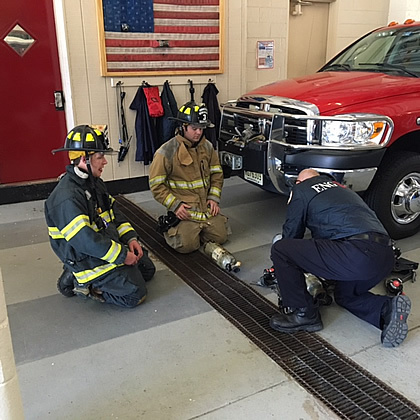 After completing the EMS training firefighters conducted competency training on several aspects of the job, including Engine Company operations which consists of hose line selection and stretching, suppression efforts and hydrant operations. Truck Company operations which consists of ladder selection, placement, ventilation and search and rescue for victims. Rescue Company operations which consists of JAWS of Life extrication, high pressure air lifting bags, saw operations and other technical rescue components. The final station was Self Contained Breathing Apparatus or SCBA. Firefighters had to show competency in their components, operation and use of the air-packs that firefighter wear to enable them to enter hazardous atmospheres. 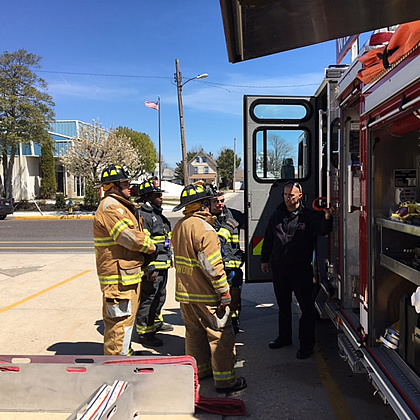 Annually the Wildwood City Fire Department hires approximately twenty part-time Firefighter/EMT's who augment the career staff for the summer months. 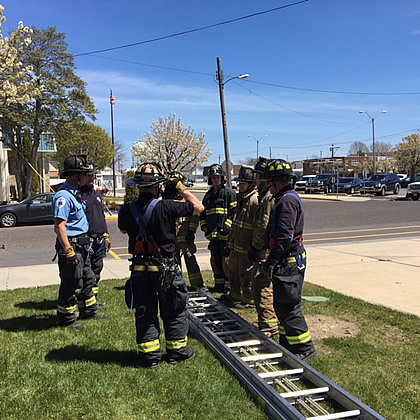 Eight Firefighter/EMTs are assigned to platoons and the remaining Firefighter/EMT's are on-call for an as needed basis due to the many events that occur that require EMS coverage in the summer months.